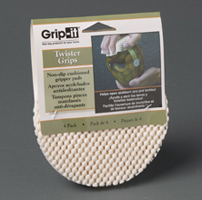 Grip-it Twister Grips are made of non-slip cushioned material to improve grip to help remove stubborn lids easily and comfortably. 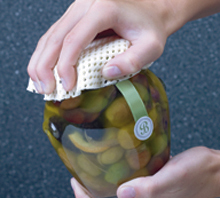 Great for use with hammers, screwdrivers, and other household items, too. Available in convenient 24-piece merchandising strips (Ivory or Assorted) or a 72-piece floor display.